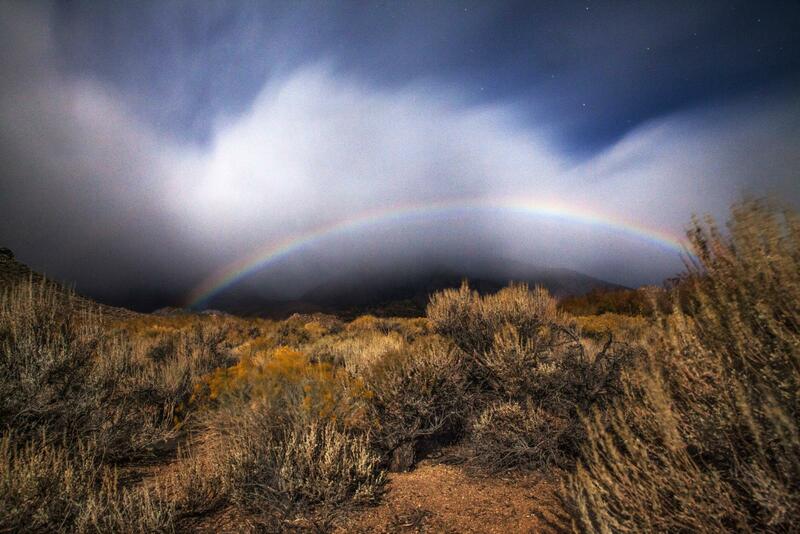 Weather is all around you and creates some spectacular sights. 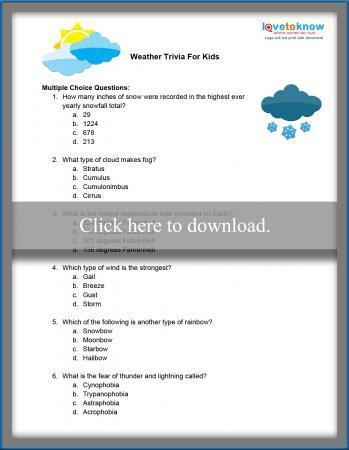 With free trivia questions about weather for kids, you can test your knowledge about the different aspects of weather, such as lightning or winter snow. See how much you know about precipitation, storms, and weather records with 10 true or false and 10 multiple-choice questions. Just click on the picture of the document below to print it. Check the Adobe guide if you have any trouble. Use the included answer key to see the correct responses. Trivia about everything from hurricanes and lightning to tsunamis has many basic uses at home, in school, or in clubs. Start a club with friends or at school where you learn about weather. Use the trivia questions as the way to gain entrance to each meeting, kind of like a secret password. Post the question outside the door and ask members to shout out their guess as they enter the room. At home, parents might set the daily or weekly Wi-Fi password as the answer to a weather trivia question. Make your science fair project stand out with weather facts from the trivia. Use one of the questions as the basis for your entire project. For instance, you could make your own tornado, and then include a trivia question and answer on your poster with interactive flaps. Using construction paper and scissors, cut out clouds, rainbows, lightning bolts, snowflakes, and other types of weather. Cut out each trivia question and its corresponding answer. Glue the question to one side of a weather cutout and the answer to the other side. Punch a single hole in each weather cutout and attach them with string to a coat hanger for a fun and educational hanging mobile. There are tons of resources online that can help you become a weather whiz. Discover more fun weather facts with National Geographic Kids. Weather Whiz Kids features fun facts, flashcards, weather jokes, ideas for experiments, and trivia for kids. Let Owlie Skywarn from the National Weather Service teach you all about weather science and safety. Print out your own Flat Owlie to take with you too. Whether you hope to work as a meteorologist someday or just want to know what to expect when you walk out the door, learning about weather is fun and useful. Challenge yourself, your parents, teachers, or friends with exciting weather trivia.